The dance will be Lobstam Style. Be afraid be very afraid. The great thing about Cuzzins is you forget somewhere along the way you grew up. How did that happen??? 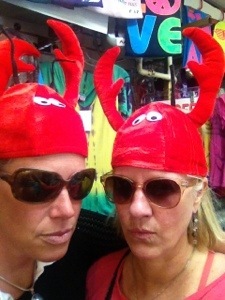 You lobstah gangstahs be lookin’ baaaad!! Thank You for letting us know that you’re having lots of fun.